I always enjoy going to Wymondham Rugby Club. Members of their committee and I have a relationship that goes back to when we were coaching youth sides at our respective clubs and as we all know, rugby friendships are ones that last. 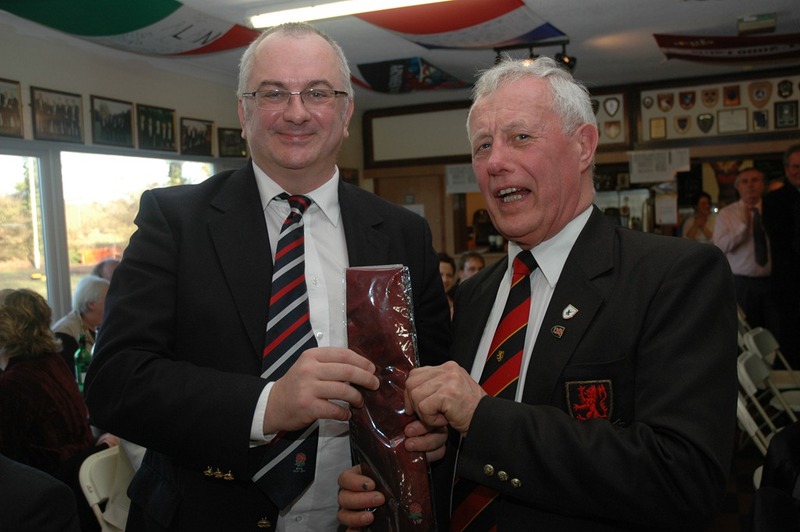 On Saturday 8 January they received the Whole Club Seal of Approval at the pre-match lunch but I was there to present ‘Mr Wymondham’ Shay Good with an RFU VIP tie. Shay started as a player in 1973 and in the 37 years since then has been captain of the 2nd and 3rd XVs, started the junior section at the club and was Mini & Youth Chair from 1983 to 1994, was Director of Rugby from 1998 to 2004 and is in his 13th season as Pitch Coordinator and 5th as Volunteer Coordinator. I haven’t mentioned the myriad other jobs he as done officially and unofficially at Wymondham and that he was Norfolk Youth Chair between 1987 and 2003. Every club needs a Shay Good and Wymondham are very fortunate to have someone so dedicated to the game and the players but who is happy to stay in the background shunning the limelight. 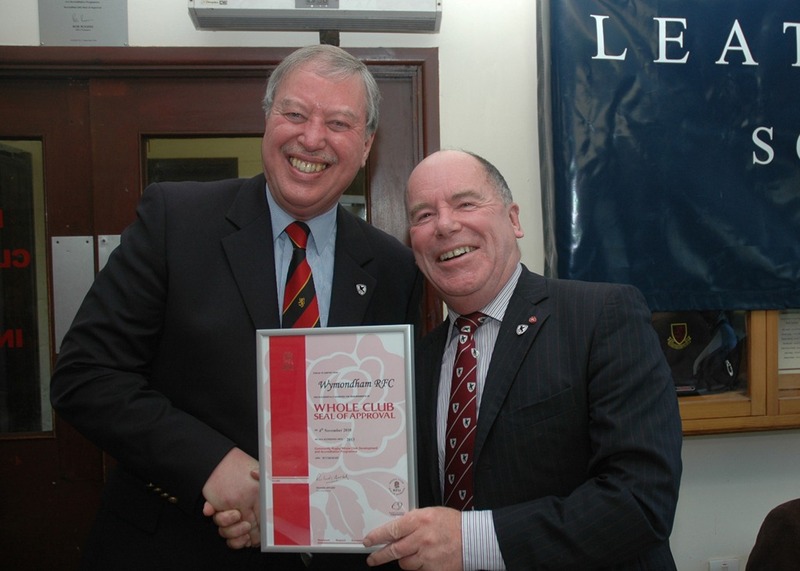 In a way that reflects the ethos of the club itself. 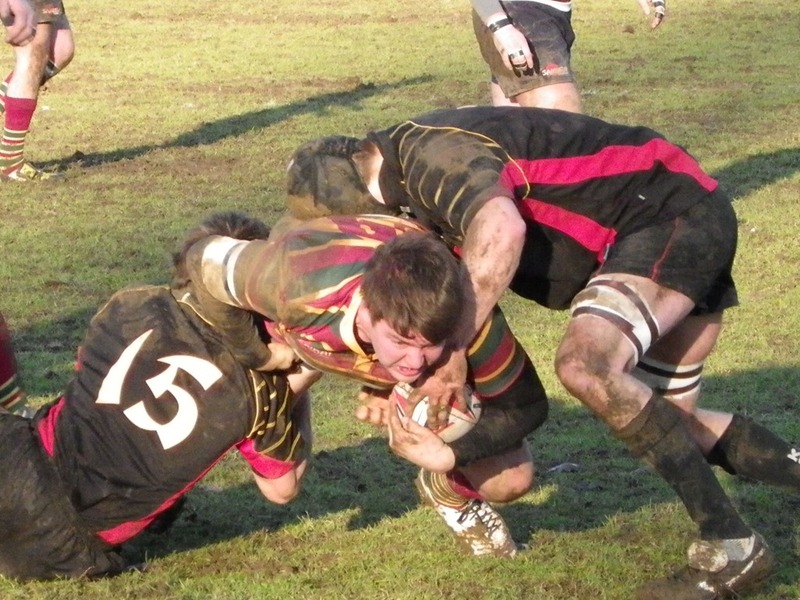 Rugby is what matters at Wymondham and the results, although important on the day, are relatively transient compared to developing mini and youth players, maintaining the core values of the game, and providing competitive games for its three adult sides. The only thing that lets Wymondham down is its facilities which it has long outgrown. There are plans to move a short distance away where they will have room for enough pitches for the large and successful Mini & Youth section and a clubhouse that will accommodate enough changing space for them all. Also a social area that will allow the club to cater for the many supporters they attract. The depressed market has understandably delayed things but when they are able to move you can expect to see Wymondham to become a true centre of excellence in Eastern Counties.